This is a detailed response to the Quora question: Would you agree if I say The Avengers has been developed on the lines of The Mahabharata? All seemed well, until I encountered the above-mentioned question on Quora. I wrote an answer and went on my way. Then I got a comment on the answer, and saw the other answers on the thread. Suffice it to say, I felt that the time was ripe for an intervention. For example, it is said that Homer's poetry is sung even in India, where they have translated it into their own speech and tongue. 7 The result is that, while the people of India have no chance to behold many of the stars in our part of the world — for example, it is said that the Bears are not visible in their country — still they are not unacquainted with the sufferings of Priam, the laments and wailings of Andromachê and Hecuba, and the valour of both Achilles and Hector: so remarkable has been the spell of one man's poetry! It even seems to me that by this power of his he has surpassed both the Sirens and Orpheus. 8 For in what respect is it a greater feat to cast a spell upon stones and trees and wild beasts and to make them follow than to have mastered so completely men of alien race who do not understand the Hellenic speech, men who have acquaintance with neither the poet's tongue nor the deeds of which his poem tells, but are, as I believe, simply enchanted by a lyre? Moreover, I believe that many barbarians who are still more ignorant than those men of India have heard of the name of Homer, if nothing more, though they have no clear notion what it signifies, whether animal or vegetable or something else still. most Avenger characters are too similar to the Pandavas to negate the possibility that they have inspired the personalities of the characters. But its not too bad if someone has created a parallel mythological people based on ours isn't it? After all its all about stories and storytelling. Indian heritage rehashed in a new avatar - not so bad at all! Legendary jingoism aside, what both these people have essentially observed is that epics of Homer and the Indic Mahakavyas and The Avengers used the same Archetypal Characters. An archetypal character is a type of character that occurs independently in many mythologies and stories. For example, a Sun God, a Sky-Father God and a Thunder God are all archetypal deities that occur even in unrelated ancient religions. The notion of the archetypal character was made famous by Carl Jung, who posited that these universal, mythic characters—archetypes—reside within the collective unconscious of people the world over. See The 12 Common Archetypes for more info. However the idea is older than Jung, and is seen both in Hellenic, Indic and Chinese philosophy as the Four temperaments and its counterparts, Guṇa and School of Naturalists. Extrapolating from these basic principles, it is easy to see that the sum total of human experience will produce a finite number of archetypal characters. In Dio Chrysostom's time, Homer's epics were atleast 800 years old, and the Mahabharata was also around for an equally long time, if not older. Dio lived after the decline of the Indo-Greek Kingdom, and knew them and their Indian subjects only by their unflattering reputation. Even then he could correctly identify that the epics of India used archetypes similar to the Homeric epics - the noble hero with a tragic end (Achilles, Karna), the King and Queen who live to see their children destroying their race (Priam and Hecuba, Dhritarashtra and Gandhari), a great civil war triggered by the abduction/elopement of a Queen (Trojan War, Jayadratha's kidnapping of Draupadi and the Kurukshetra war), etc. And yet the existence and use of common archetypes do not necessarily prove the connections between the stories. In fact, the continued occurrence of an archetype only proves that people everywhere have a fundamental unity of thought, which may or may not be as extreme as Jung's collective unconscious. So what happens when you take multiple character archetypes and put them in a team? You get something called an ensemble, in which the group dynamics are decided by;Cast Calculus. And we are particularty interested in an ensemble called The Five-Man Band. This trope is incredibly old and popular. The Leader - Usually the The Hero. Can be a mastermind, charismatic, levelheaded, headstrong, or some combination of the four. Leads the group. The Lancer - A contrast to the the Leader, who nevertheless is a part of the team. He serves to balance the Leader's strengths and weaknesses, and is the most likely to branch out on his own. Tends to be the Number Two of the team. The Smart Guy - Usually youngest of the team, possibly also the physically weakest. As the name suggests, he is the brains of the outfit. The Big Guy - May not necessarily be the physically strongest in the team (but usually are). He just has to be the one who, out of most duties, specializes in physical fighting. The Chick - She keeps the team together and balances everyone's aggression. If not explicitly female, this character will be the most in touch with their "inner woman". The Sixth Ranger – A later addition to the main team who may or may not fit in. Likely to betray the team, or to be an antagonist. The Mentor - The advisor and/or confidante to the team. However, a close reading will reveal that these are not the original group dynamics of the Mahabharata. The Pandavas as a group follow the Three Plus Two dynamic, which is a subtype and precursor of the Five-Man Band. In this dynamic, the sons of Kunti form a Power Trio with the twins as the Plus Two, and Karna as The Sixth Ranger. Draupadi is not a part of their dynamic because she doesn't actually participate in combat, which is an essential feature of the Chick archetype. It is to be noted that the original Rig Vedic pantheon is also a Three Plus Two structure, with Indra, Mitra and Varuna as the Power Trio, with Vayu and Agni being the very heavyweight Plus Two, and Pushan (Rigvedic Surya) as the Sixth Ranger. The Mahabharata explicitly refers to this arrangement, when it refers to the Pandavas' biological fathers - Dharma(Yama), Indra and Vayu as Power Trio, the Asvin twns Nasatya and Dasra as the Plus Two and Surya as the Sixth Ranger. Thus the Pandavas are not actually an example of the Five-Man Band. Now before we speak of the Avengers, it is important to note that there are two major versions of the team - namely the Comic Book and Cinematic Universe versions. In the comic books, the original Avengers line-up was explicitly a Five-Man Band. Nick Fury wasn't a part of this. While the line-up was constantly changing, with the Hulk dropping out after two issues, the Avengers comics use the trope repeatedly. In the Cinematic Universe, however, things change quite a bit. In The Avengers, the team is essentially marketed as a Four-Temperament Ensemble of Iron Man, Bruce Banner, Captain America and Thor, with the S.H.I.E.L.D. agents Romanoff and Barton as supporting characters. Don't believe me? Here's the evidence. By the time Avengers: Age of Ultron turns up, we see this status quo heavily changing. Right in the beginning, we find that Hawkeye has become the Chick, complete with white picket fence. Meanwhile Black Widow has become the Mentor/Sixth Ranger, displacing Fury, who only turns up in cameos. Stark remains the Lancer, but his Smart Guy role is a lot bigger. Thor challenges his Big Guy status, by actually turning out to be surprisingly sagacious, and arguably smarter than the designated smart guys. The only constant is Cap. Rogers. By Act III, any remaining semblance of a Five-Man dynamic is thrown out of the window. In the end, we have a completely different dynamic, with Cap. Rogers and Agt. Romanoff as the Action Duo who are jointly leading and mentoring the next line-up. 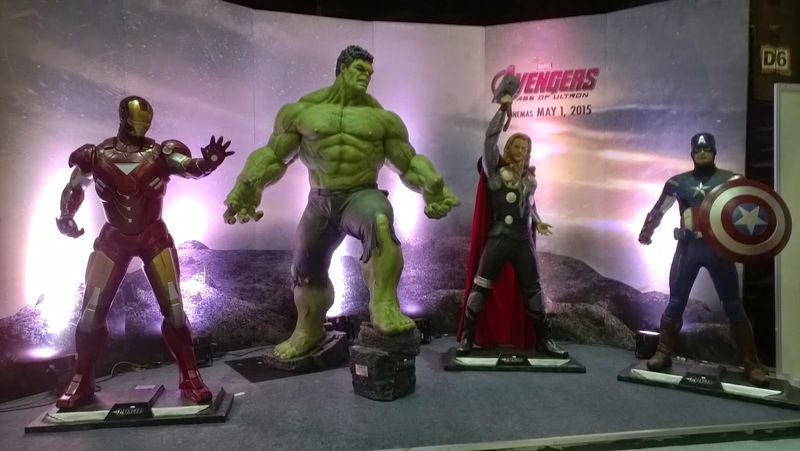 In case it wasn't clear enough, the Marvel people know zilch about India and Indic mythology. 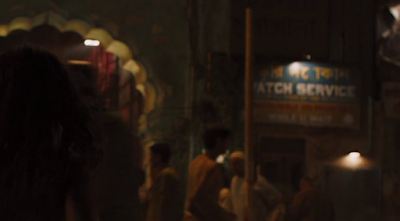 "Calcutta" in the Avengers. They also spelled দোকান as দ ো কান. Conflating Shiva with Indra since 1982. Thor Annual #10. The Avengers team dynamic is only superficially similar to that of the Pandavas, and this resemblance is purely because they use the same archetypes. This does not make the Pandavas the original inspiration for the Avengers in any way. Brilliant! I am interested to see Quora spurring ideas for your blog. Actually, I find Dhritarashtra super interesting. As far as my understanding of his character (as per the depiction in the BRC televised version and CRR's version) goes, I don't find many parallels in literature for his character. Interesting that you mention Priam. Any other parallels that come to mind? I'd say part King Lear (because of disappointing offspring) and Richard II (grandstanding, insecure). However, I also know that this depiction may not be congruent with the character arc in the critical edition. An awesome outlook you have of stuff.